How can you celebrate your wife’s talents and passions? "Kim Bogardus’ personality and life are inseparable from her photography. Unpretentious and generous, she is equally comfortable photographing a bride in her dress, orphans in Russia, wrestlers in Mongolia, a film director in a studio, or a family in downtown Seattle. 2. Do something with a theme; telling the story of our family through her eyes over a year. 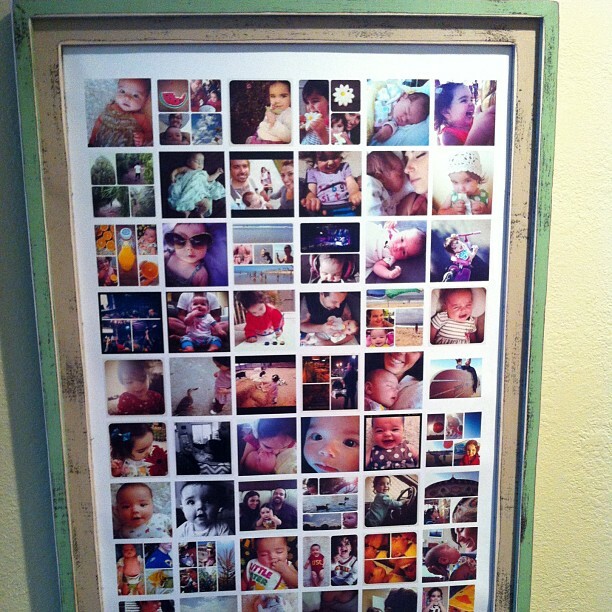 There are many options for printing Instagram photos but I settled on using Printstagram. They have a lot of options ranging from books, Polaroid-like squares, calendars, or posters. All I needed to do was login to her Instagram on a browser, go through the design steps on Printstagram, and then select the best of her many shots from 2012. $35 and two weeks later I had a beautiful poster that celebrated Kim’s talents, passion, and our family. Here’s what it looks like in the house. Maybe your wife isn’t a photographer, but loves to cook. Kim is also incredible in the kitchen so I’ve gotten her gift certificates to cooking classes like Sur La Table here in Orange County or The Joyful Kitchens in Seattle. What is your wife good at and passionate about? How can you celebrate it and encourage it? This is part of the Intentional Man series.